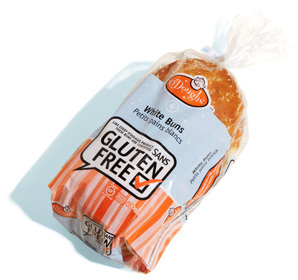 Founded by the Weinberg family in 2007, O’Doughs bakes healthy gluten-free breads, pizza shells, cakes and buns at its suburban Toronto facility. The company uses all-natural ingredients such as flax, potato, tapioca, soya and rice flours. We recently had a chance to try O’Doughs products and, overall, thought they hit the mark. (After trying the samples, we liked most enough to buy more product during our summer trip to Canada.) All of the products are best stored frozen but, in the case of the cakes and buns, taste fine after being defrosted or microwaved. 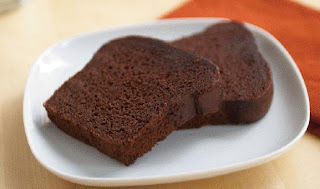 To satisfy that sweet tooth, the company makes three loaf cakes, all of which are delicious: Banana (with chocolate chips), Carrot, and Chocolate. 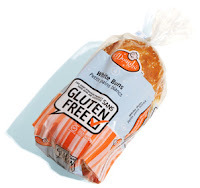 The cakes are sweet and moist, and show no signs of the grittiness that mar other gluten-free sweets. We were also impressed with the flax and white pizza kits. The square personal-size pizza shells come with packets of tomato sauce that can be combined with toppings of your choice, then baked in the oven to the desired level of crispiness. The flax sandwich bread (topped with poppy seeds) and white bread (sprinkled with sesame seeds) are better toasted than at room temperature. While serviceable, they're not airy or pliable like Udi's version. O’Doughs' white and flax buns have quickly become our son’s favorite for hamburgers. They’re just the right size, complementing the meat patties without being “bready.” Also available are Apple Cranberry Breakfast Buns. O'Doughs will be participating at Sunday's Appetite for Awareness, where you can sample the products. The company is expanding distribution in the United States and is working on availability at East Coast stores. In the meantime, orders can be placed online for home delivery. DISCLOSURE: While O'Doughs provided product samples for me to review at no cost, such compensation did not influence my review. Neither I am nor any immediate family member is an employee, officer, director or agent of O'Doughs or its respective parent, subsidiary and affiliated entities, advertising and promotional agencies. My full disclosure policy can be found at the blog's Disclosure page. 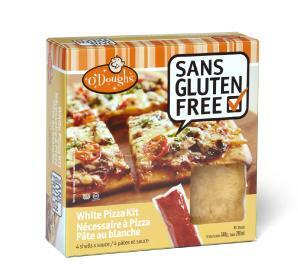 I am looking forward to trying O'Doughs products this weekend. Thanks for the review.